2017 is coming to a close and we wish you all the best for the upcoming year and another successful conference in Japan. AGM was well attended with 188 SIOP members in attendance (188 members of 1343; as per the current by-laws article 6.1 a quorum of 5% of total society membership has been achieved). Motion to approve changes of membership structure and fees was passed. The new membership categories and fees are available on the website. We specifically draw your attention to the reduced fees for members of LIC & MICs which is due to reduced charges from PBC for members from those counties. Motion for approval of online voting in future elections, a by-law or constitution change was approved. The Minutes of the meeting can be found under “My SIOP” Annual Business Meeting section. Giorgio Perilongo stepped down as past President. His dedicated leadership and commitment to SIOP has been most appreciated. Paul Rogers stepped down as Secretary General and Scott Howard has taken his place. The board requested that Paul remain as an ad hoc member of the board for an additional year to aid in continuity and assist in some of the duties of the Secretary General. Election for the President Elect will be held in 2018 and winner announced at the next Congress in Kyoto. A request for nominations by the membership will be sent out in the new year. The executive board acts as the nominating committee to review all nominations and compile a short list for election. There is also a call for nominations for the roles of Continental President Oceania and North America. More information on the Elections can be viewed in the “My SIOP” Member zone on the website. *This was a very difficult decision for the board as there were four highly competitive bids. After reviewing the reports on the proposed sites from Kenes , Ottawa Canada was chosen. Bids for 2021 are open for any Country, excluding North America and Europe sites – find the bidding manual here. We do wish to appeal to all our Continental Colleagues encourage their colleagues to join SIOP. The new membership fees for PODC counties should aid in this membership drive. 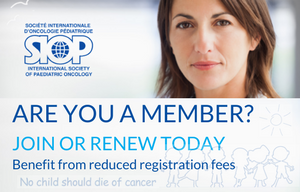 We wish to encourage non physician health care professionals, with specific interest in Pediatric Oncology, to join as associate members. 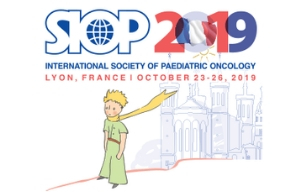 SIOPs strength is that we are a global Pediatric Oncology organization, with the ability to globally advocate, educate and promote research to the benefit of our patients. The website remains under continuous review. We aspire for the site to be user friendly, aid in good communication about the activities of SIOP and that education materials are easily accessible. Members from the YI committee are now actively involved. As we look forward to seeing you in Kyoto, and wish you all the best for the New Year!